Richard Michael DeWine is an American politician serving as the 70th governor of Ohio. 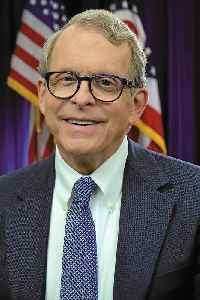 A member of the Republican Party, DeWine is a former United States Senator, elected in 1994 and reelected in 2000. In 2006, DeWine ran for reelection to a third term but lost to the Democratic nominee, U.S. Representative Sherrod Brown. DeWine had served as Lieutenant Governor of Ohio under George Voinovich from 1991 until 1994. In 2010, DeWine was elected Ohio Attorney General, defeating Democratic incumbent Richard Cordray, and was reelected for a second term in 2014. In the 2018 gubernatorial election, DeWine was elected Governor of Ohio, defeating Cordray in a rematch of their 2010 race. Ohio is the latest state to pass a &apos;heartbeat&apos; abortion bill. Could the legal challenges eventually overturn Roe v. Wade?